Some say there’s a price to pay for ignorance. And sometimes the price is pain. I’ve yet to write much about plant or animal life in Guatemala on this site, save for some passing mentions on our Facebook page. Not because I don’t care about plants – I do – but because I’ve never devoted any significant time to learning about them. Until recently, I wouldn’t have been able to tell you which flower was a lily or which one was a daisy if you held them up to my face, side by side. While I’m trying to change that, I’ve got a long way to go in that department. The chichicaste – and yes, the town near Antigua named Chichicastenango literally means “land of chichicaste” – is a plant indigenous to Costa Rica and Colombia, though it has spread all over Central America, Mexico, and South America. 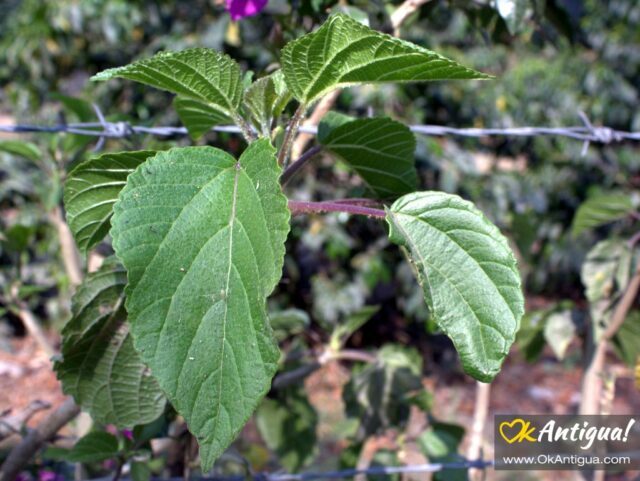 While chichicaste is heavily used for medicinal purposes – especially its roots, it’s a very prickly plant. 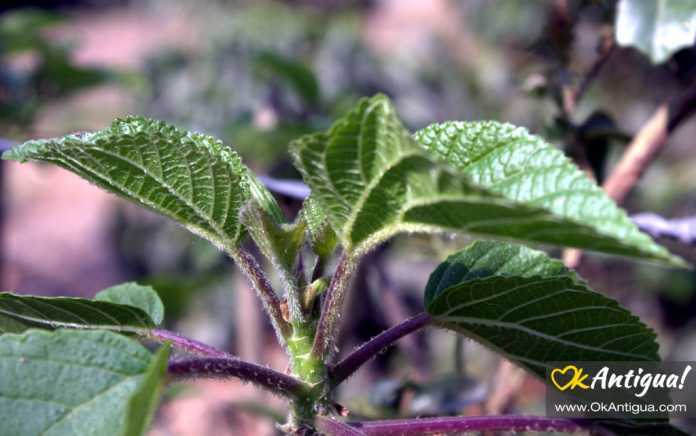 Chichicaste leaves and stems have prickly, brittle hairs that will immediately attach and break off in your skin at the slightest of contacts. These hairs release chemicals that will cause a burning sensation right away, which I’m told is similar to that of Poison Ivy – that’s another plant that I have no idea what it looks like, or have an interest in doing the obligatory 10-second Google search at this moment. So, how did I get acquainted with Chichicaste? Well, I tend to walk our dog every day on a side road near the house. This road is quiet, save for the occasional motorcyclist passing through, and also scenic. It borders a coffee plantation and on clear days, I can see both Agua and Fuego Volcano on the horizon. A very pleasant walk. Little did I know I was walking inches away from nature’s version of an electrified fence. 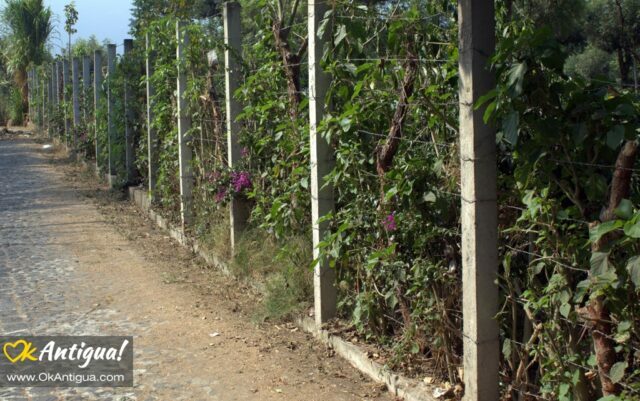 Turns out farmers often plant Chichicaste as a hedgerow to protect their properties. Normally, there isn’t any reason for me to get near the fence. 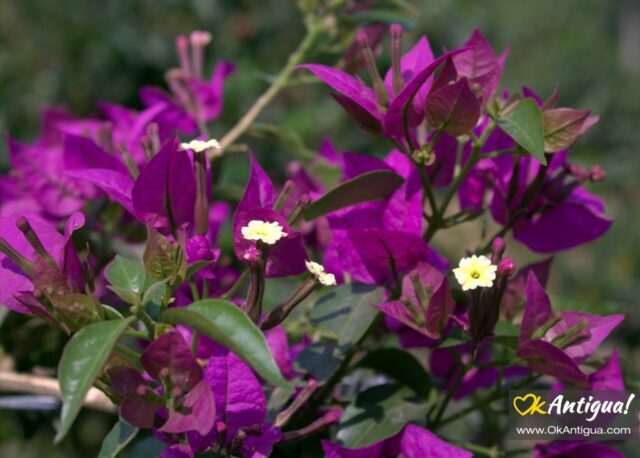 But that morning, I’d spotted some beautiful bougainvillea flowers growing along the fence and had decided to take a few to decorate the home office. As I reached for the flowers, my wrist very lightly touched a nearby leaf. And I mean so lightly I didn’t know I’d touched it for about 0.3 milliseconds. My wrist started burning up almost immediately. So much so that I knew right away I’d touched something poisonous. I briskly walked back to the house as I noticed welts beginning to form in the itchy area. I immediately suspected it was the famous Chichicaste plant I’d heard about so much. Sure enough, a Google Image Search revealed it was so. The reason I knew about Chichicaste before is that I’d heard it mentioned by my wife before as a method of corporal punishment for children among Maya communities. Having experienced it, I’d say it’s flat-out child abuse. Chichicaste was also used by the ancient Maya to punish rapists, which they accomplished by rubbing the plant along the aggressor’s genital area (yikes!). So what do you do if you have a personal encounter with Chichicaste? Well, I found a useful article that explains your options here. Unless you develop a strong allergic reaction, the stinging sensation will not last more than a day. If you do start breaking out in hives, then you might need to ingest antihistamine medication promptly. If that doesn’t work, then it’s probably best you head to the hospital quickly, though that last scenario isn’t one I’ve heard of happening, but something you might want to be aware of. And that concludes my first “Plants of Guatemala” post. Stay safe! Hey, I need your help. I noticed that every so often (usually on Sunday afternoons), a lot of people in the US start searching online for the word “chichicaste” and land on this page. I suspect it may be related to a TV program people are watching because it happens at the same hour. It’s driving me crazy trying to figure it out! If you don’t mind, please let me know what made your search for chichicaste by sending me an email to richpolanco (at) okantigua.com. Thanks!!! 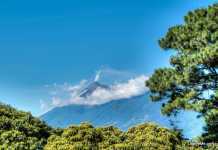 Thinking about moving to Antigua Guatemala? Read this! Have you had a run-in with poisonous plants in Guatemala? Oh, my. thanks for publishing this. I was in Antigua recently and when I got back to the USA, I had such a case of ITCHING. Not burning, like you describe, thankfully, but it looked like poison ivy – red bumps in rows all over my legs, then my back, then my hairline. Itch, itch, itch. Calamine lotion, hydrocortisone cream, shorter fingernails – whatever it took. I was miserable. It would flair up when I got hot, like after exercise. I wonder if it was this plant…. Hi CarolSue. I doubt it was this particular plant, but you never know. The rash usually goes away relatively quickly. Sounds definitely like you had an allergic reaction to something.